Martin Peache says nursing has taught him not to judge people by first impressions. Martin Peache, 53, is the acting matron for infection prevention and control at Whittington Health NHS Trust in north London. 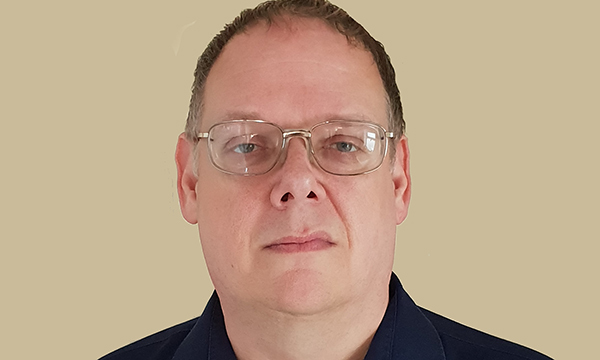 He has worked in infection prevention and control for 22 years, including at a large community and mental health trust, the Department of Health, an acute London trust and as a locum at Broadmoor Hospital. Mr Peache qualified from West Herefordshire School of Nursing in 1987 and is married to Drew Payne, a community nurse. Providing infection prevention and control (IPC) strategically across an integrated care organisation, covering a 230-bed acute hospital and community services across two London boroughs. I manage a team of four infection prevention and control nurses. I’d been working for a number of years for a community and mental health trust and I’d wanted to get back into the acute side of IPC nursing but not lose the community side of the job, which I also enjoy. This job was the perfect fit for me. Everyone. My role is patient-focused but it involves all staff who work for the trust – clinical, non-clinical, contracted and agency staff. The variety of people I work with. I can be talking to the chief executive about a strategic issue, then talking about cleaning floors with a new domestic staff member, and later discussing the installation of a new CT scanner with the facilities manager. Other people. Ensuring they are following IPC guidelines when we are not there. We are only a small team and cannot be everywhere at once. Ensuring positive microbiological results are communicated to the relevant staff, quickly and appropriately, that the staff know how this will affect patient care, and what they need to do, their responsibilities. I’ve been very lucky to have worked in a wide variety of healthcare settings, which has helped me to develop a wide knowledge base that I can use in my role. I have also learned to teach in a wide variety of settings, from formal lecture to informal, clinical-based discussions. Working as a locum for a private infection control company, where I worked in a vast range of different healthcare settings, from high-security mental health hospitals to general practice. I would probably have worked in IT. I’ve been interested in computers since I was at school. I’m very happy in my current role and have no plans for any career moves at the moment. Don’t judge anyone on first impressions. Don’t stop learning, knowledge is fun.